Australia has well and truly embraced mobile devices, with smartphone penetration expected to exceed 90% by the end of this year. It’s no surprise, therefore, that they are also a key element of the modern Australian workplace – indeed, to many employees they are just as crucial, if not more so, than their desktops. But while mobile devices bring many benefits to organisations, including increased productivity, better flexibility, and more satisfied employees, they also add a significant level of complexity when it comes cybersecurity. Whether it’s malware-infected apps, phishing emails and text messages, or eavesdropping hackers, mobile devices are highly vulnerable to data breaches, which are hugely costly to organisations, not just in terms of money but also reputation. Whether the devices in your organisation are employee owned or employer provided, the first step is making sure you have a mobile security policy that gives your employees clear guidelines on how their devices should be used and how information should be accessed. Not only does this help to prevent confusion, but giving employees a concrete policy to sign increases accountability. The best way to find the gaps in your network is to put it to the ultimate test, and subject it to the same attacks that malicious hackers would conduct themselves. It is recommended to get outside expertise to audit mobile security and conduct penetration testing on mobile devices being used within the organisations. Once you know where the leaks are, it becomes much easier to plug them. 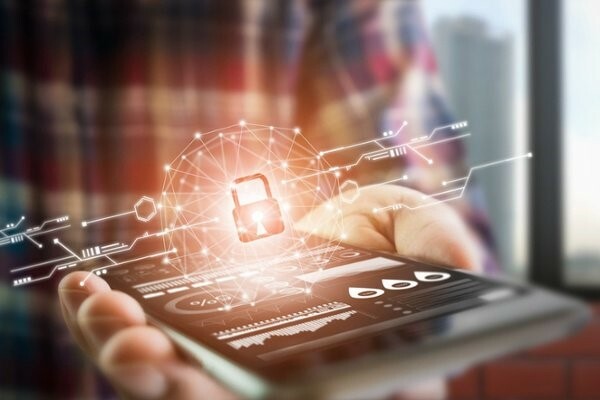 When it comes to mobile security at work, you have to use every weapon in your arsenal and put up multi-layered defences in order to protect your information. Technology can be a huge cybersecurity asset – placing extra barriers between malicious attackers and your data. You might have the most stringent policies, well-trained employees, and the very latest technologies, but that doesn’t mean you’re completely immune to data breaches. Zero-day vulnerabilities spring up, devices get misplaced or stolen, and employees make mistakes. It is wiser to see data breaches as an eventual inevitability, and to be prepared for that inevitability.